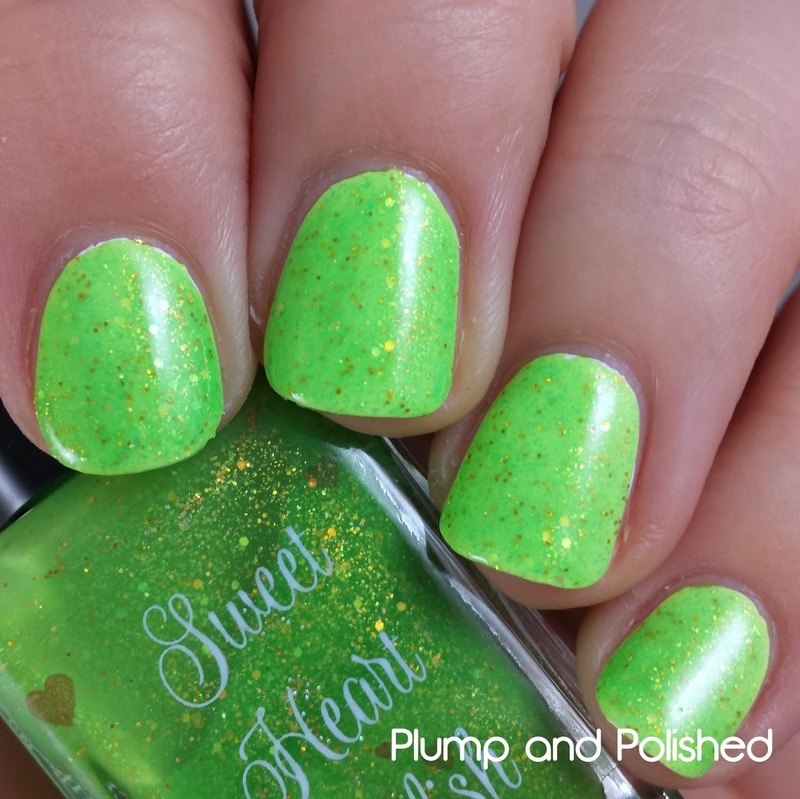 Julie of Blue-Eyed Girl Lacquer has teamed up with Sweet Heart Polish and Monster Polish to create a polish box inspired by the Peter Pan rides at Disney World and Disney Land. 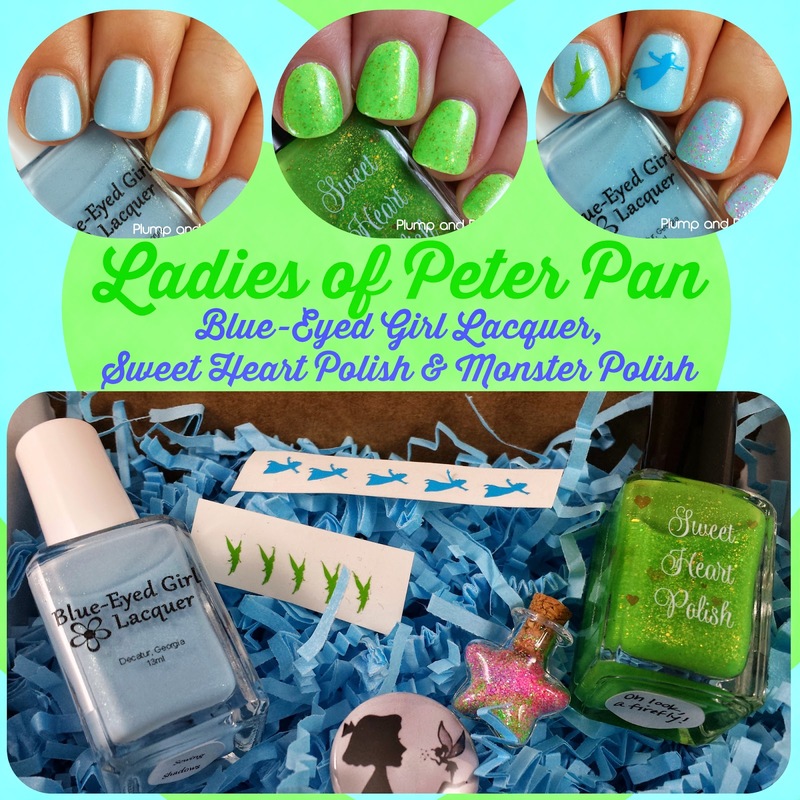 Obviously, the Ladies of Peter Pan are Wendy and Tinkerbell. This polish duo is the perfect representation of the two. Plus, it comes with some fun extras! This polish applied like a dream. It was smooth and creamy without any issues. I used two coats with top coat. 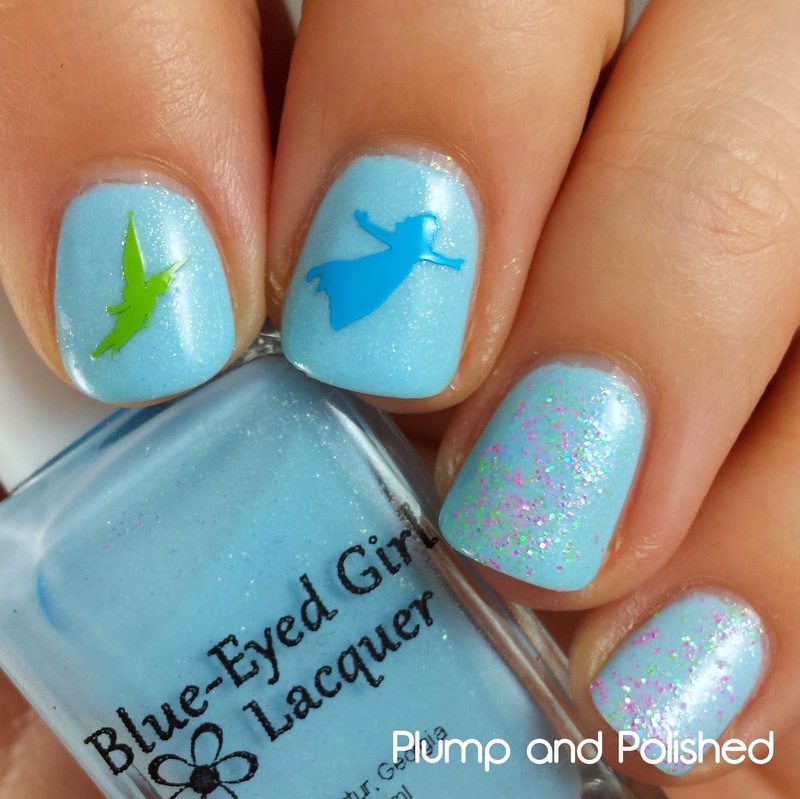 This polish was inspired by Wendy's night gown. 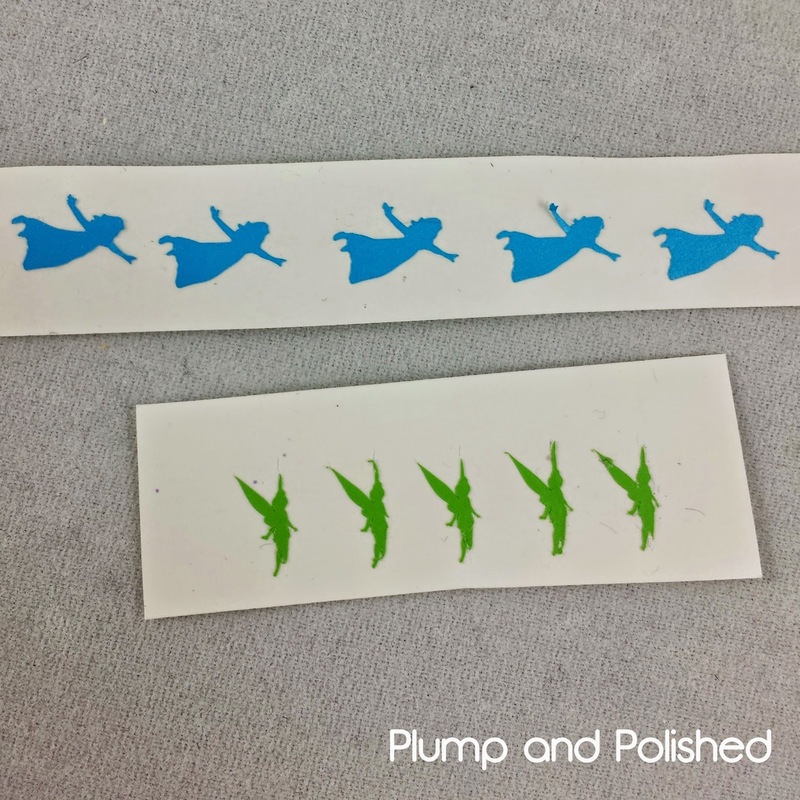 The shifting glass flecks bring together Peter, Wendy, and Tink in one polish. I really love this blue. 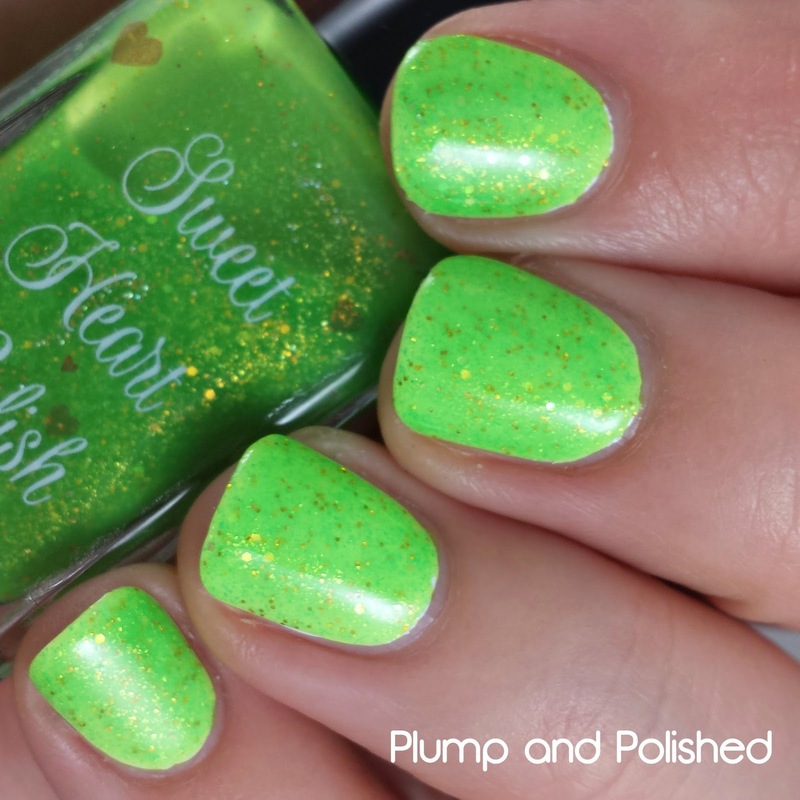 It's the perfect shade and the glass flecks twinkly like crazy. As you can see, this polish is pretty sheer. I thought it might build up with a few coats, but it didn't. After four coats, I had to call it quits. I wanted to show it to you on its own before I layered it over a base. 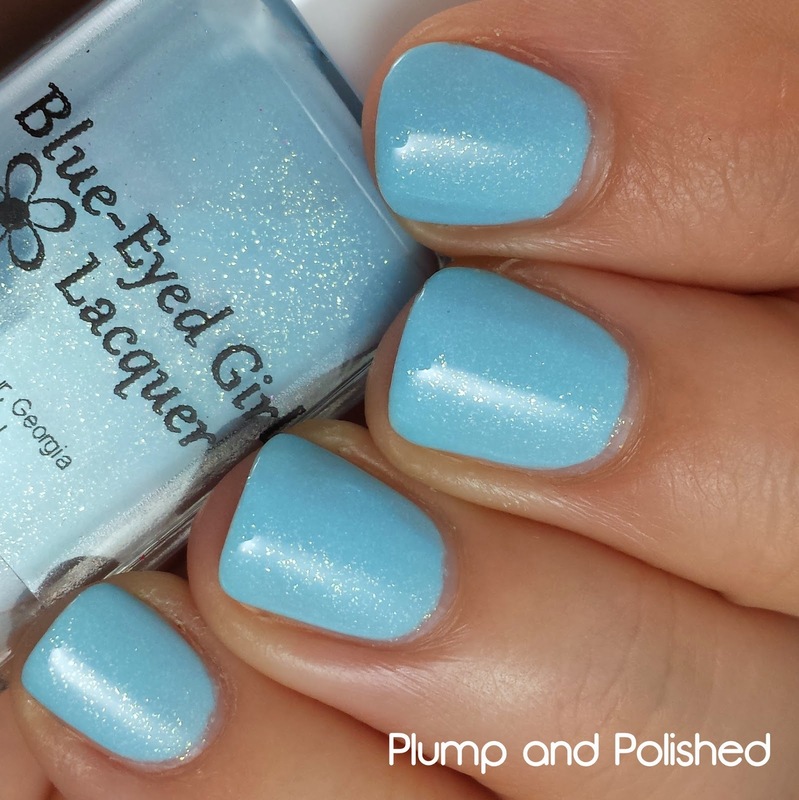 Over white, this polish really pops. I used two coats for a great look. It dried quickly and didn't give me any application problems. I finished it with a bit of top coat. On its own, my nail line is very visible. I'm personally not a fan of this look, but it might work for you. You can really see the depth of the shimmer and glitters in this. Again, I love this over white! It completely transforms it and brings it to life. The green takes on a cooler tone and doesn't look as yellowy to me. 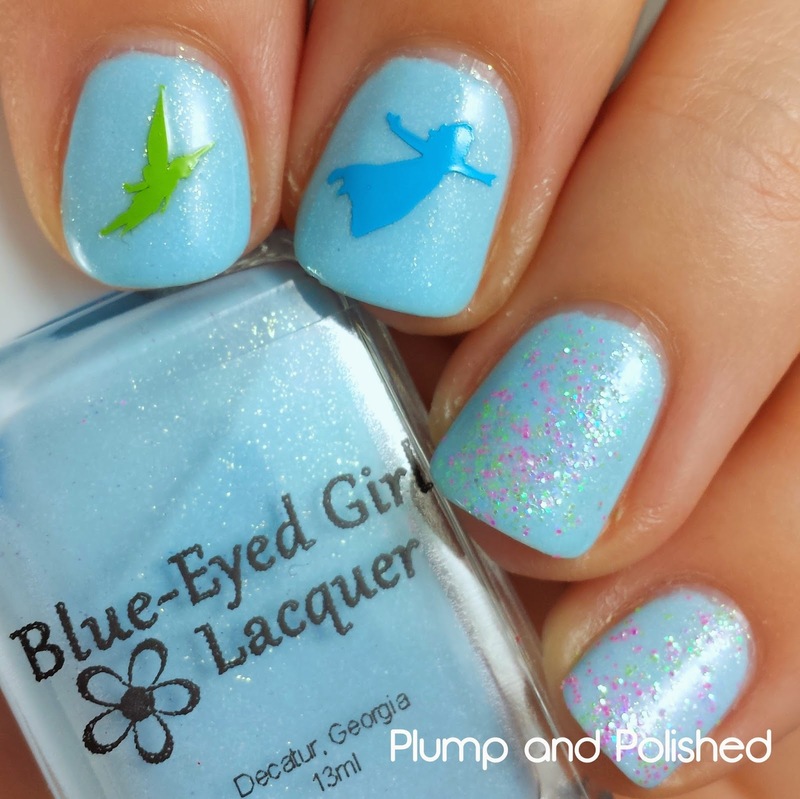 Obviously, this one was inspired by Tinkerbell. 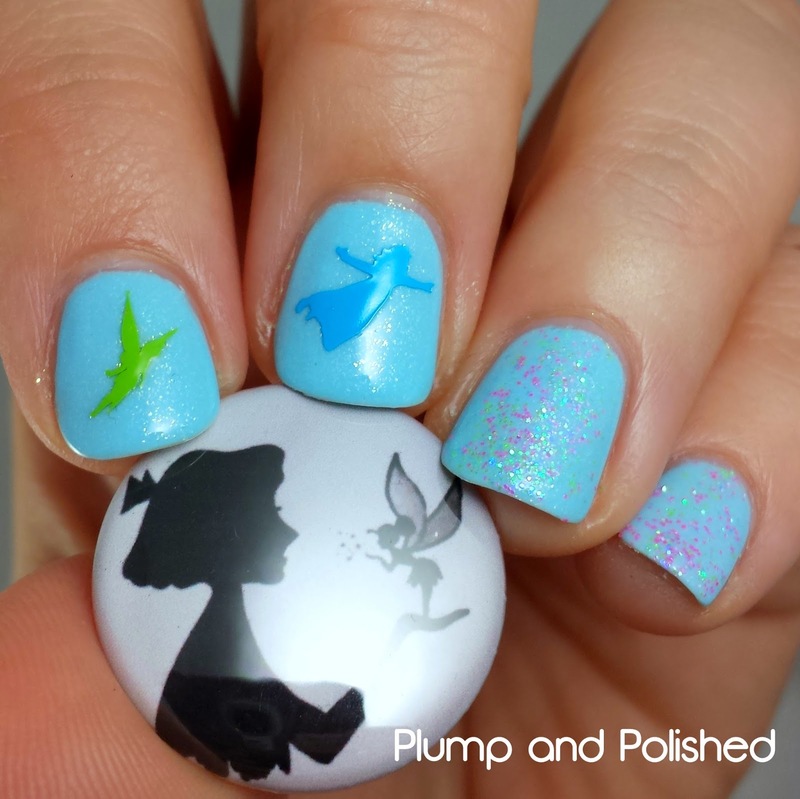 Wendy Nail Vinyl shown over Oh Look, a Firefly! I used tweezers to remove the nail vinyl before placing it over my dried manicure. I sealed it in with one coat of Rica Glossy Glam. I would have used a Tinkerbell one over this, but I didn't think it would pop enough. This is NOT solvent resistant. This tiny little vial contains multicolored fairy dust. 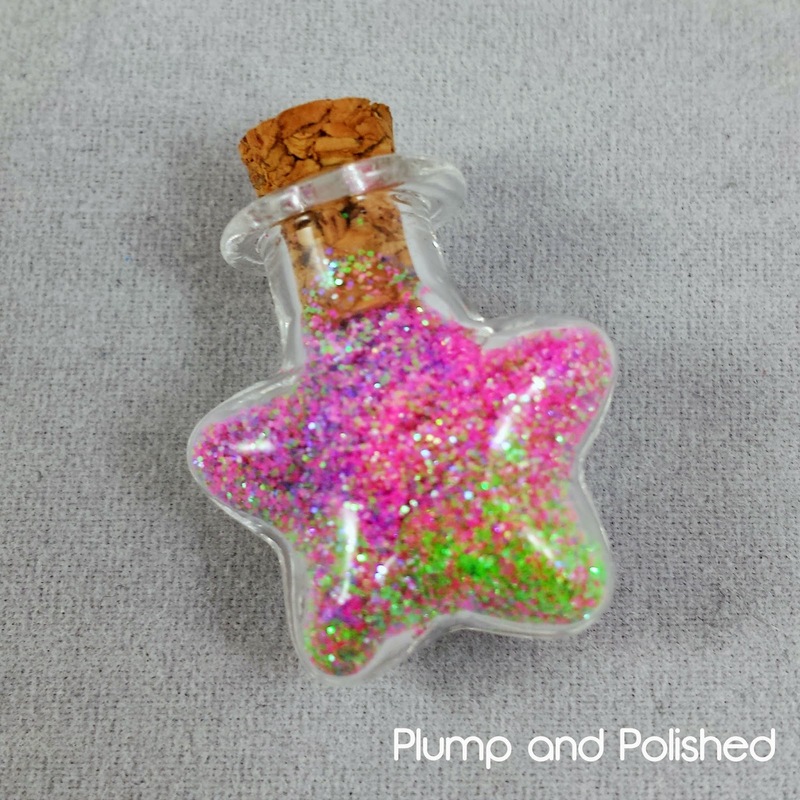 You can use it for display (I have mine on my desk near a few other trinkets) or you can use it for nail art. Please don't try to put it in nail polish. It'll melt. There are two different buttons that you can get in this box. It's a random luck of the draw for this. Both designs were designed by BEGL fans. I got the button with Wendy holding Tink in her palm. For this look, I started out with Sewing Shadows. I applied a nail vinyl on each nail and sealed it in with top coat. 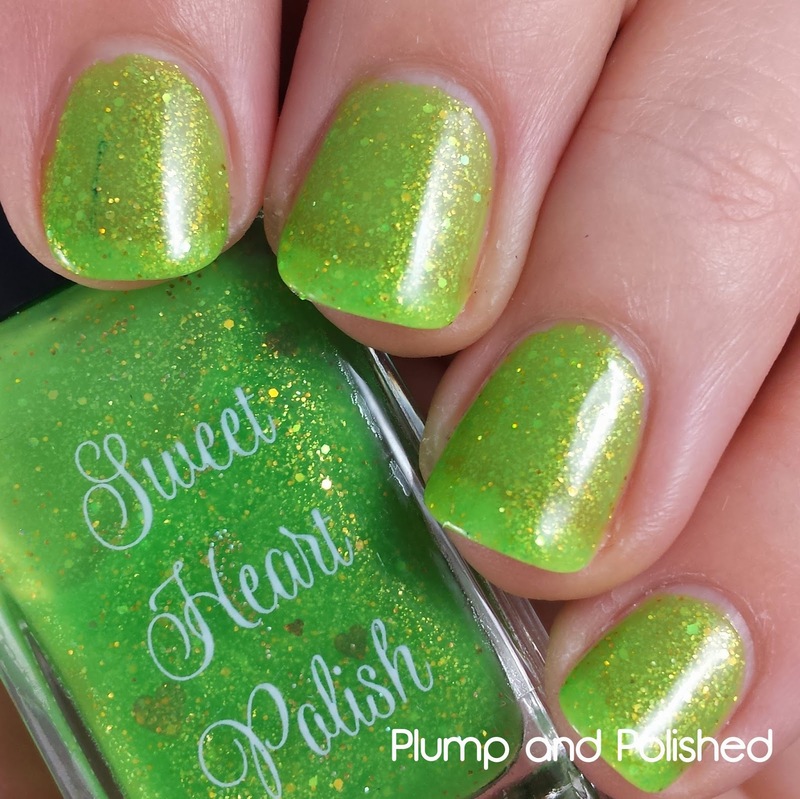 For the two accents, I sprinkled a bit of the fairy dust over slightly wet polish. With one coat of top coat, it was a bit gritty so I added a second coat over it. 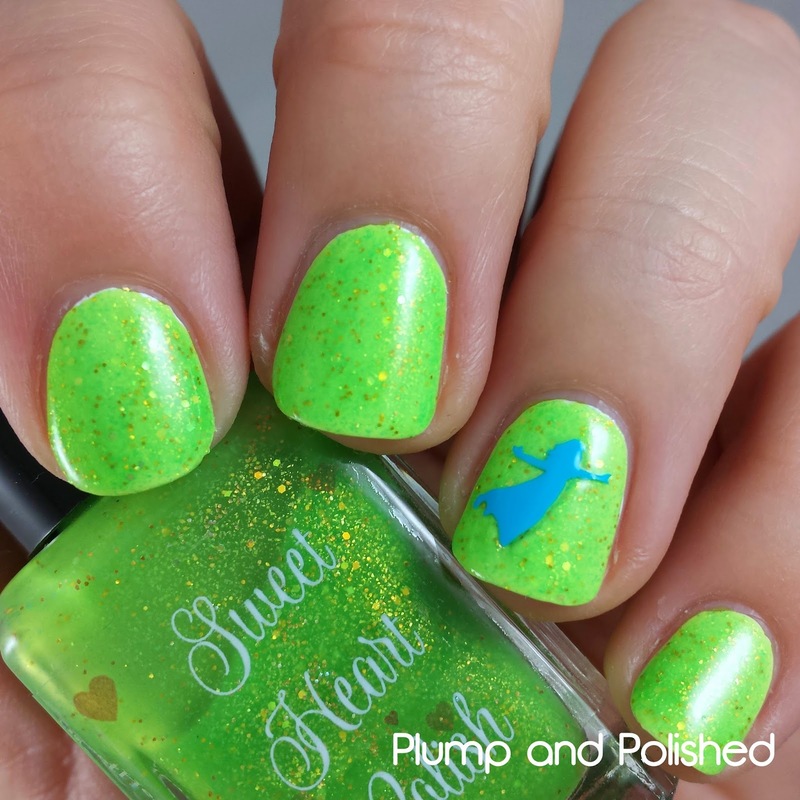 I think Tinkerbell would approve. 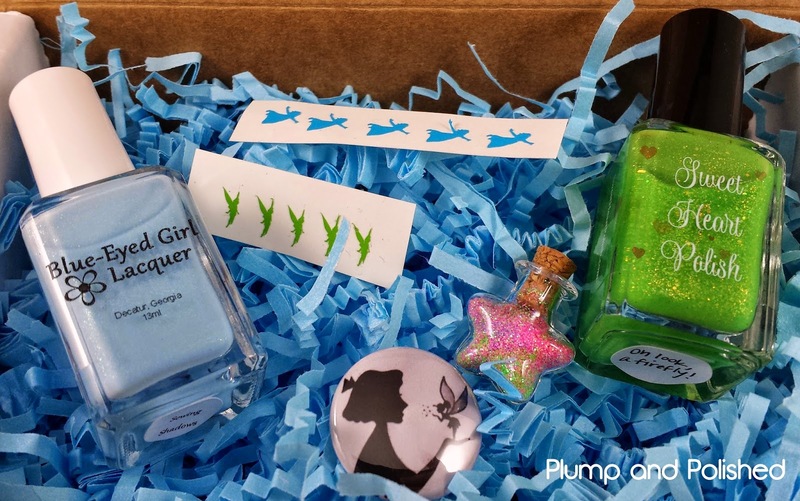 The Ladies of Peter Pan Box is limited edition and will be released October 10, 2014 at noon EDT. Each box will be $25 USD plus shipping. 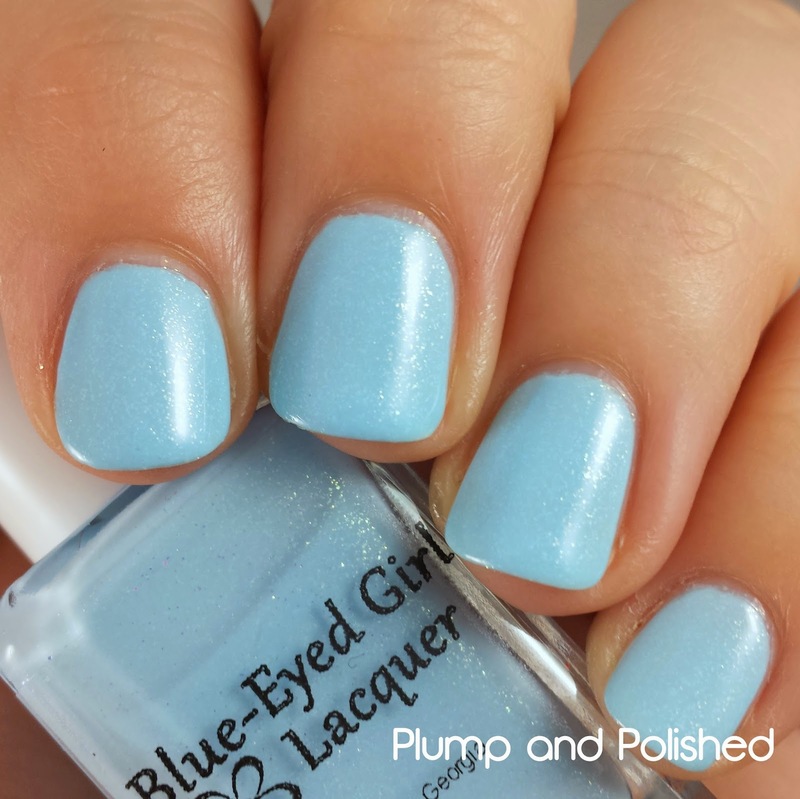 You can pick it up from either Blue-Eyed Girl Lacquer or Sweet Heart Polish. 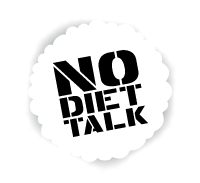 Stay up to date with the brands! How cute is this?! I love both of these polishes! I just love anything that is Disney inspired. And I love that they aren't named after the characters. The references are so much better.